Days Gone is set to get a collector’s edition according to an announcement from Sony, and naturally, we have all the details for you right here. UPDATE – Amazon have just gone live with preorders for the Days Gone Collector’s Edition here at $139.99. Meanwhile, Best Buy also have the Days Gone Collector’s Edition available for preorder at the same price, too. 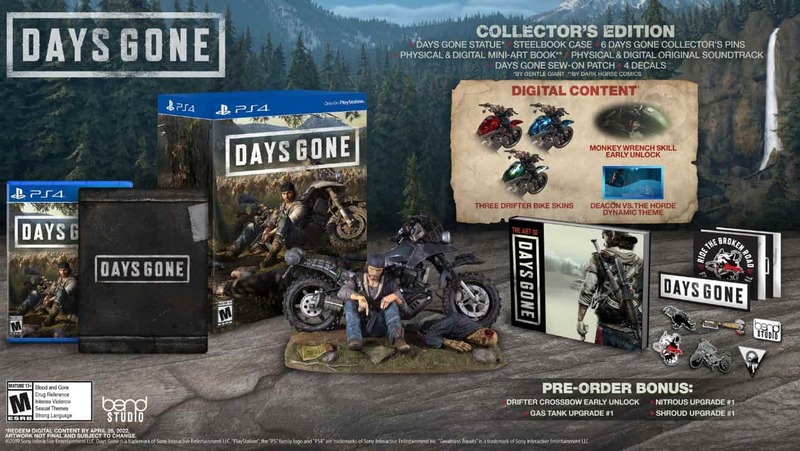 As it turns out, Sony are actually releasing two different editions for Days Gone in addition to the standard version of the game – a Days Gone Collector’s Edition and a Days Gone Special Edition, so avid collectors should find themselves roundly satisfied by what Sony have on offer here. Quite an impressive collectors edition, all told. 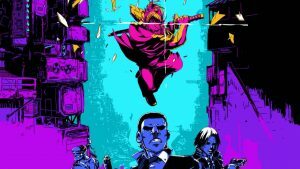 Preorders for both editions should be open shortly. 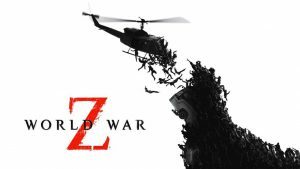 Pre-orders for both editions are expected to go up shortly. 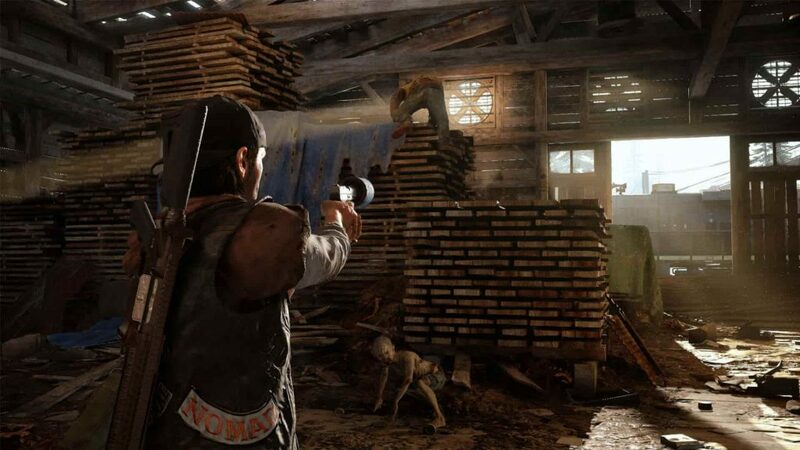 In case you’ve been living under a rock, Days Gone is a third-person shooter that casts players as an outlaw biker who must discover hope in a world blighted by a virus that turns people into hordes of fast-moving, flesh munching zombies. Towards the end of last year, the official Days Gone box art was released via Amazon US, letting players know what they should expect when the highly anticipated first-party exclusive hits store shelves later this year. 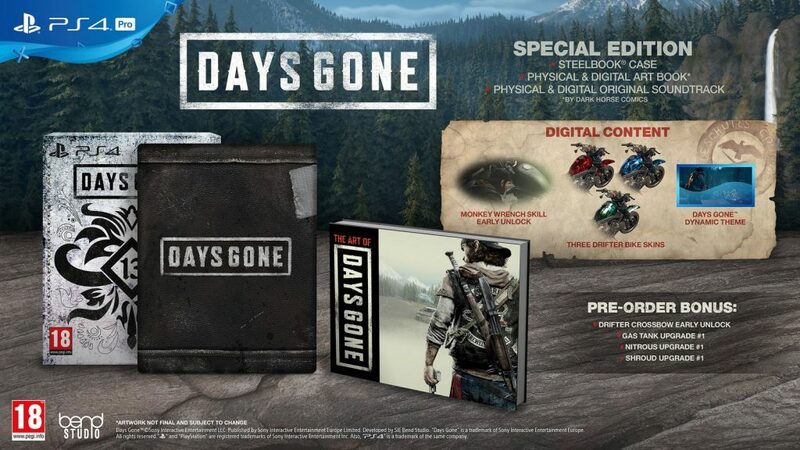 Published and developed by SIE, Days Gone is set to release exclusively for PS4 on April 26, 2019.